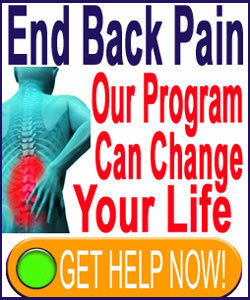 Standing lower back pain can make work and physical activity difficult for any patient. Experiencing pain while standing up can create numerous significant health problems, including metabolic disorders, weight gain and all the collateral consequences of maintaining a purely sedentary lifestyle. Standing is a basic activity that is required to function in most economic earning roles, as well as in general societal obligations. If a patient can not stand, then they are greatly curtailed in their functionality, productivity and aspirations. Standing upright is not an evolutionary accident. It is the purposeful result of countless millennia of evolution and is an adaptation that has made humans the ultra-successful species that we are. Some doctors love to literally create “evidence” that humans are not designed to stand upright. They report the stress that upright posture creates is what causes pain in so many people. These theories go against our natural design and are completely bogus. Humans are designed to stand and walk upright. Furthermore, standing is an innocuous activity that has been and will be performed by generations of humans dating backwards and forwards in time as far as one can imagine. 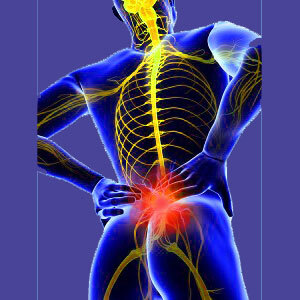 This report provides the facts on why some patients experience standing lower back pain. We will focus on actual scientific findings, rather than citing any speculative theories that are often used by physicians who believe mankind should still be dragging our knuckles across the floor while walking on all 4 limbs. If you have pain in the lower back when standing upright, this essay will provide a much-needed objective perspective on the facts of the condition. As mentioned above, some structurally-obsessed doctors claim that we are not meant to walk upright. Our bodies are not designed for it. They often cite evolutionary evidence that our ancestors walked on all fours, which is to be expected of lifeforms that lived millions of years ago. Our anatomies have changed much since then and one of the major adaptations is the not only the ability and preference, but also necessity to walk upright. This posture is an inherent part of the modern human experience. More realistic doctors do not make any such claims, but can still find many reasons to explain specific pain conditions that are caused by standing upright. This is acceptable, as long as some pathology exists and is presented when the patient is performing a standing posture. These structural citations range from nerve impingement issues to muscle imbalances to skeletal joint dysfunction to dramatic degeneration of tissues that prevent proper posture or mobility. All of these causes and contributors to standing lower back pain can be valid, but may also simply be more scapegoats that are effects of pain rather than causative processes. Cause and effect are often confused in the back pain diagnostic process. Patients are cautioned to be wary. Regardless of why any given patient has pain while standing is rather irreverent in some ways. The main point is that the pain is preventing the patient from standing or therefore greatly limiting their ability to work, handle social and family obligations, and basically perform normal human functions and interactions. It never occurs to most doctors to ask simple questions like this. If they did, they would be much more effective at actual doctoring. In the above example (just one of many), we clearly see a work-related cause of lower back pain much more clearly than a standing-related cause of pain. Additional questioning usually will provide evidence of a stress-related lumbar pain syndrome that has nothing to do with standing at all. In essence, the standing is an incidental factor, just like many structural abnormalities often blamed for the pain, like that lumbar herniated disc. We tend to advise cautiously on such issues, because there is certainly no cookie-cutter solution for any activity-related pain syndrome. First, we suggest that all patients follow our lower back pain advice and learn the facts of lower back pain before dealing with any more care providers. Once educated, then we suggest seeking quality evaluation of any suspected standing-related pain syndrome from both a physical therapist and a spinal neurologist. If either implicates structural issues, be sure to have them explain the mechanism by which standing exacerbates the symptoms and then research these theories to judge the logic of them for yourself before agreeing to treatment. If no pathological process can be found from standing, then we normally suggest looking into the possibly of a mindbody pain syndrome being the underlying causation. Standing might be a innocent trigger for the pain, much in the same way that sitting is for other patients. Standing might also be just part of a larger causative process, such as the work stress-related scenario illustrated above.